Authorities are urging anyone who sees Ruben “Plucky” Chavez III to call 911 immediately. Chavez, 21, of Rifle, is 5 feet 9 inches tall and 169 pounds. He is wanted on charges of harassment, violation of a protection order, leaving the scene of an accident and failure to appear. He has at least three open cases in Garfield County, including numerous violations of a restraining order and felony charges for menacing and weapons possession. He was also implicated in an unlawful sexual contact incident in November after Mari Rose Hale, a monthly community columnist for the PI, described being grabbed from behind in the parking lot outside Target. 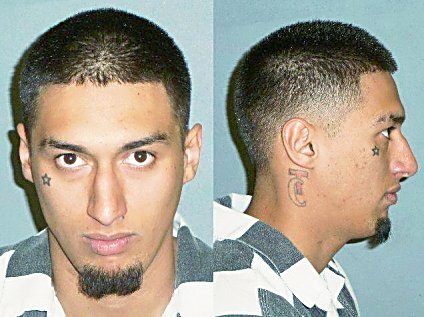 His arrest affidavit in that incident said he was a “validated Norteno gang member” and “a suspect in a California homicide,” though details about that were not available. A local business reported receiving a call from a middle-aged female claiming to be with the local chamber of commerce and asking to verify business information, including address, number of employees and other information. When the local business questioned the caller, she hung up. The Glenwood Springs Chamber Resort Association said Friday the call was not from them. A reverse phone look up identified the originating number as being a Colorado landline, and the Glenwood chamber said it notified local authorities of a possible scam. Further investigation of the phone number also revealed previously reported scam operations. If you receive calls from anyone stating they are verifying private business information, do not hesitate to call Marianne Virgili, president and CEO of the Glenwood chamber at 970-945-5002. The chamber said that it sometimes does call to update member records, but callers always identify themselves personally, and businesses always are welcome to call Virgili to verify. When her “on-again, off-again ex-boyfriend” William T. Williamson wouldn’t leave her alone, a Carbondale woman called police early on the morning of April 26. According to his arrest affidavit, the woman told police that Williamson, 33, of Carbondale, had texted asking her to hang out the previous evening. She declined, but he continued to call and text her, and when she returned from a night out with friends she found him on the front porch. He pushed inside behind her and refused to leave until she called 911. Williamson was arrested for felony trespass and misdemeanor harassment with domestic violence sentencing. When a Parachute police officer encountered Steven D. Griffin staggering down the road against the flow of traffic shortly after midnight April 28, he wondered if the man was connected to a series of vehicle and home break-ins in the area. The officer attempted to stop Griffin, 41, of Rifle, who took off running. When Griffin got caught on a fence and the officer caught up, he fought until he was subdued and cuffed. Griffin was arrested for felony assault as well as resisting arrest, obstructing a police officer and parole violation, all misdemeanors.